It is often said that Brits and Americans are divided by a common language. A friend of mine currently spending 18 months in Washington DC has recently blogged about the linguistic challenges for the Brit abroad. Well, for anyone similarly challenged, here are two books that will prove invaluable. The book begins with the interesting observation that many phrases or words which we would previously have viewed as Americanisms are now part of mainstream English. It cites “awesome” as one particular example. But then it goes on to promise that the rest of the book translates unknown terms. It also has a little warning symbol for words which mean different things in each language – think baked beans, hush puppy and gallon. It also has a little Eagle symbol to introduce cultural advice throughout the book, for instance it informs us that many people think America The Beautiful should replace the Star Spangled Banner as the national anthem. Once you’ve made it past the introduction, this is very much like reading a dictionary with the occasional interesting fact thrown in. It is probably of more interest as a reference work. This has a much longer introduction. Instead of the Eagle, they have used a teapot to highlight particularly interesting facts – explanations of Bow Bells, Spoonerisms and Morris Dancing. There is also a very succinct explanation of pantomime, which would have been useful before I once spent an afternoon trying to explain it to a very confused Canadian. It also highlights some great idioms: “it’s a bit brass monkeys today” being a personal favourite. I also learnt some things. For instance “elephants” is apparently rhyming slang for drunk (elephants trunk) and apparently Brits often say “he staggered home elephants”. I can’t help but feel that this may be a cruel trick the authors are playing on innocent tourists. I guess, on balance, that I found this more interesting than the American travelmate – possibly because it is quite interesting to see what they have included – it is a short book and so they must have had to be quite strict on what they included. The end list is deliciously whimsical. All in all, an interesting pair, but not ones to rush on to your ‘to be read’ pile. 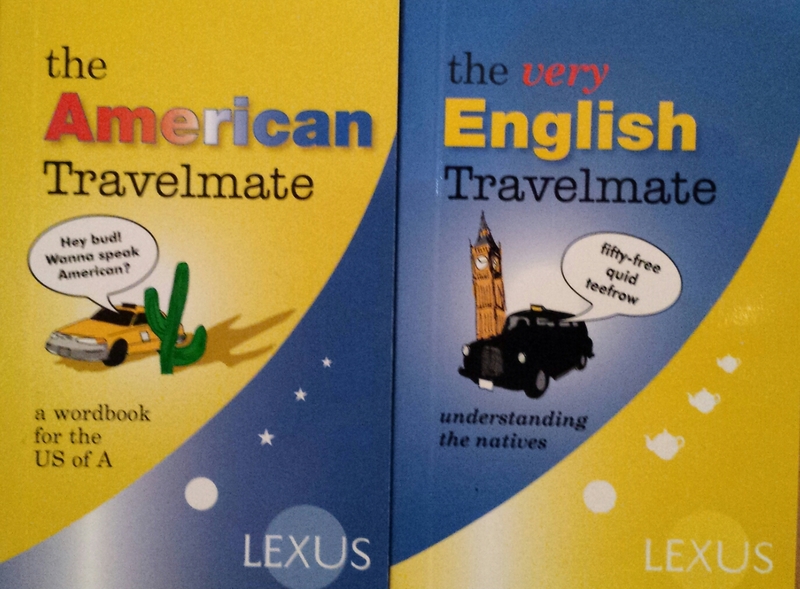 Tags: America, book, book review, books, England, English, travel. Bookmark the permalink.